My son’s epilepsy diagnosis came with words that I didn’t know. Status epilepticus. Refractory. Subclinical. I had a lot of questions about these words and what they meant for my son, so I turned to the same place I always turn when I have complicated medical questions. Sure, our doctor would also have been a good source since, usually, she is the one using the foreign words. But being in the doctor’s office after a long exam and a long day is overwhelming, and being a web-savvy-engineer-type, the Internet is my happy place. Besides, nothing bad every happens on the Internet. Turns out, that’s not true. I’m one of those people who search for symptoms on WebMD, the place where a stuffy noise quickly escalates from common cold to incurable cancer. Searching for the words surrounding my son’s diagnosis quickly leads, after a few clicks, to truly terrible conditions, none of which could my son possible have. But the seed of despair gets planted and, after a few more clicks, somehow his epilepsy also gave me an incurable disease. I don’t (as far as I know) have a disease, but I do have cyberchondria (one of my new, favorite words). Hello, Internet, my old friend. I’ve come to search WebMD again. 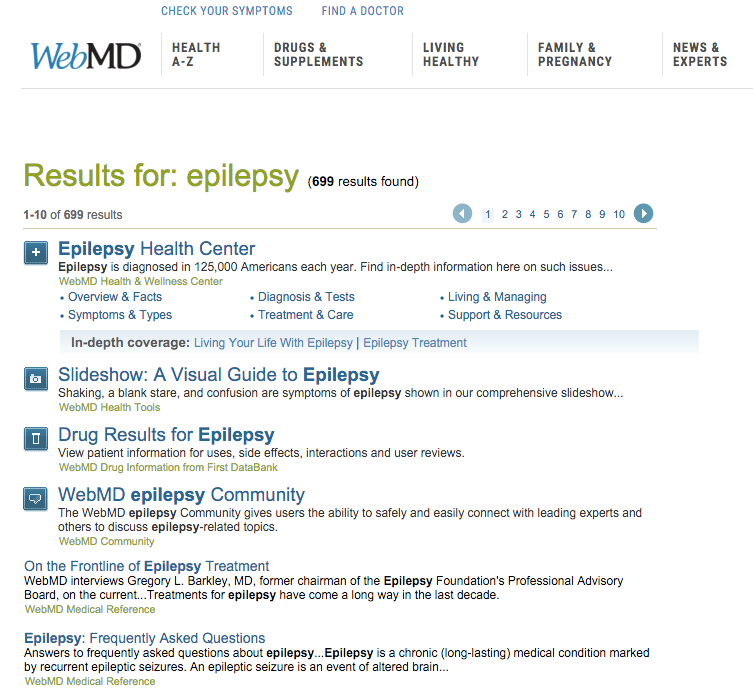 Once I was able to tear myself away from WebMD, I pulled up Google. I had more questions that weren’t related to solving the riddle about why my son had epilepsy but, instead, were about what his life would be like with epilepsy. Since he was a baby, he wanted to be a hockey player. I searched for “hockey players with epilepsy”. The results that came back were not promising. Wait, I thought, can he even play hockey with epilepsy? Another Google search. More unsatisfying answers just led to more questions. Soon I found myself sucked down another rabbit hole, this one less about clarifying a diagnosis and more about what type of possible future my son would have, even before we knew enough to even guess at what his future would be like. Looking at my browser history, it revealed a pattern of creating limitations in my head about what my son could ever hope to accomplish. Worse, I was arming myself with information that I could use to project those same limitations on to him, which is the opposite of what my search was meant to achieve. The Internet is an amazing tool. It has the power to connect people, to share information, and maybe one day to help find a cure for epilepsy. It can inform patients and parents afflicted with a condition and provide a common vocabulary for the exchange of ideas. But it can just as easily overwhelm and do more harm than good, particularly with a new diagnosis and especially when the cause of the condition is still unknown. My excursion to the dark side of the Internet left me with these two thoughts that I try to remember when I find myself lost on the information superhighway. 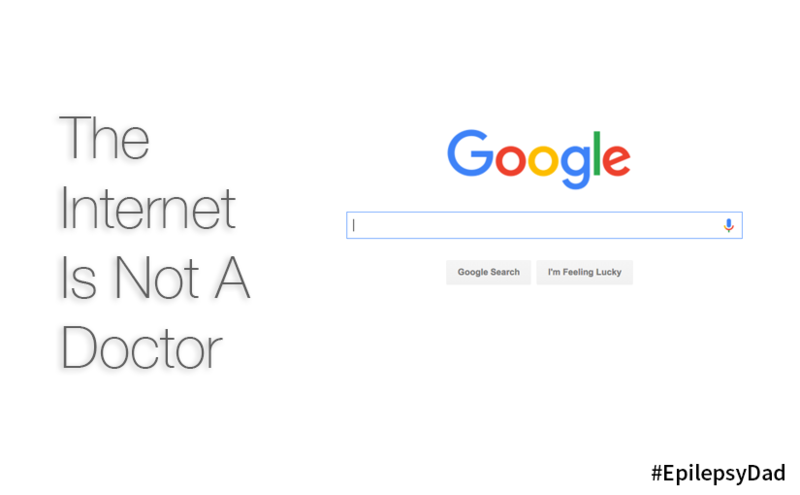 The Internet is not a doctor. In the future, everything is possible.